PIC: My cousin is awesome! My cousin Jacki stayed overnight at my apartment the other day. I left while she was still asleep on the couch, and when I got home, she had cleaned my whole kitchen & living room. 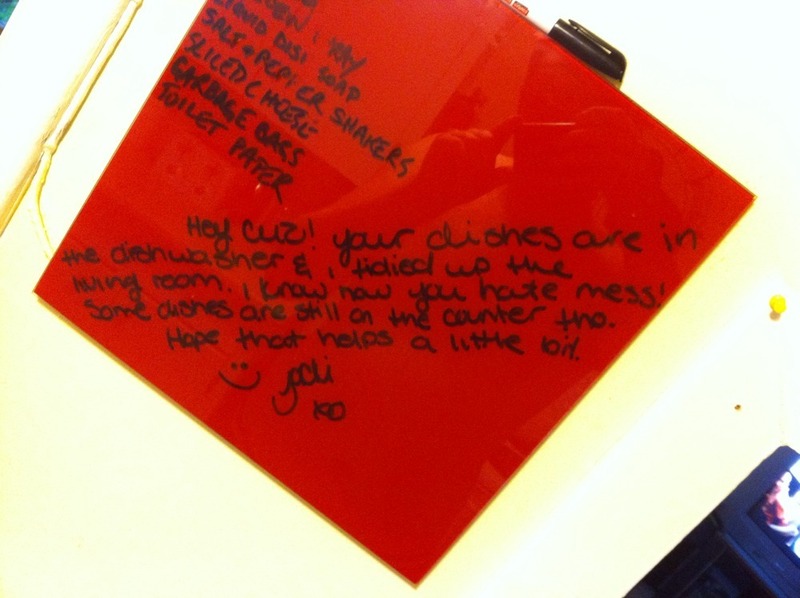 And she left me a nice little note! Posted in Halifax, Personal, RandomTagged apartment, Blog, camera, clean, cousin, Family, Halifax, iphone, Jacki, kitchen, living room, local, Love, pic, pictureBookmark the permalink. PIC: Guess what kinda party? ?